IB History Paper 2 Hints and Suggestions. Plan Subject Report 2007: 5-10 minutes writing a plan of the response is time well spent and can aid in providing. 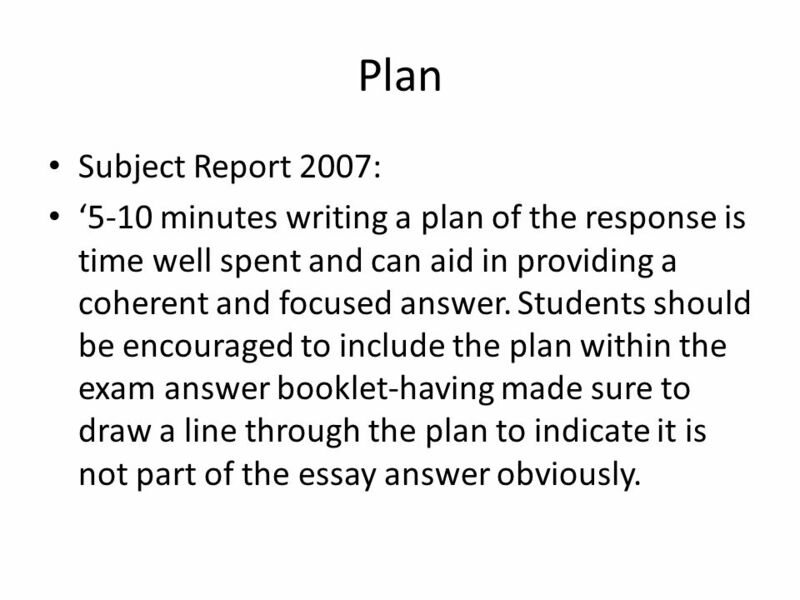 2 Plan Subject Report 2007: 5-10 minutes writing a plan of the response is time well spent and can aid in providing a coherent and focused answer. 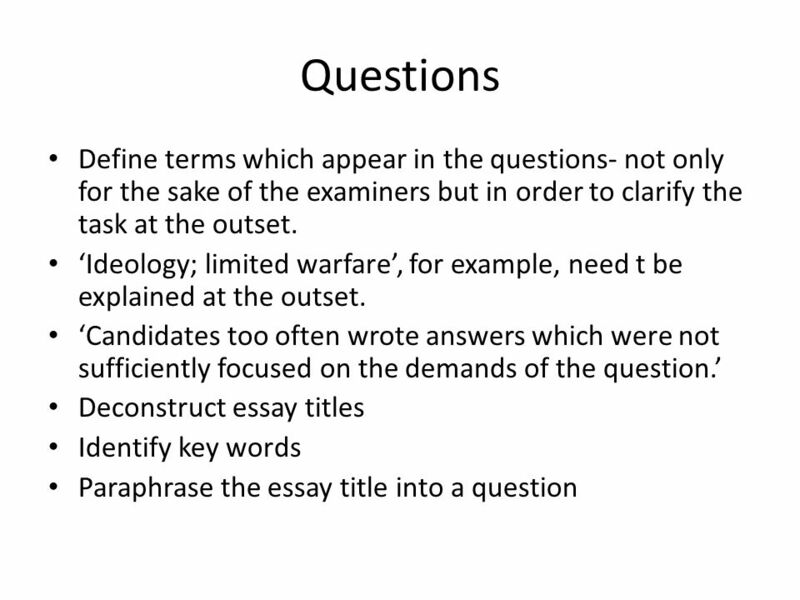 Students should be encouraged to include the plan within the exam answer booklet-having made sure to draw a line through the plan to indicate it is not part of the essay answer obviously. 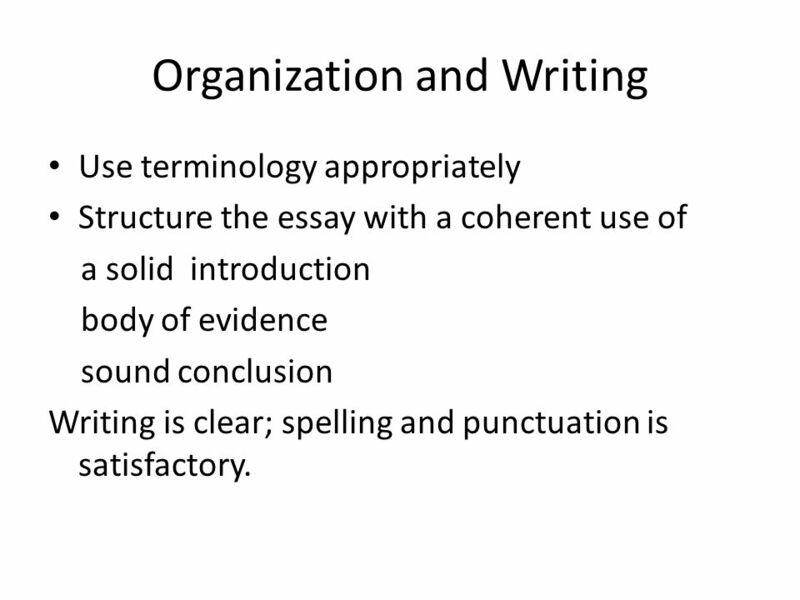 6 Organization and Writing Use terminology appropriately Structure the essay with a coherent use of a solid introduction body of evidence sound conclusion Writing is clear; spelling and punctuation is satisfactory. 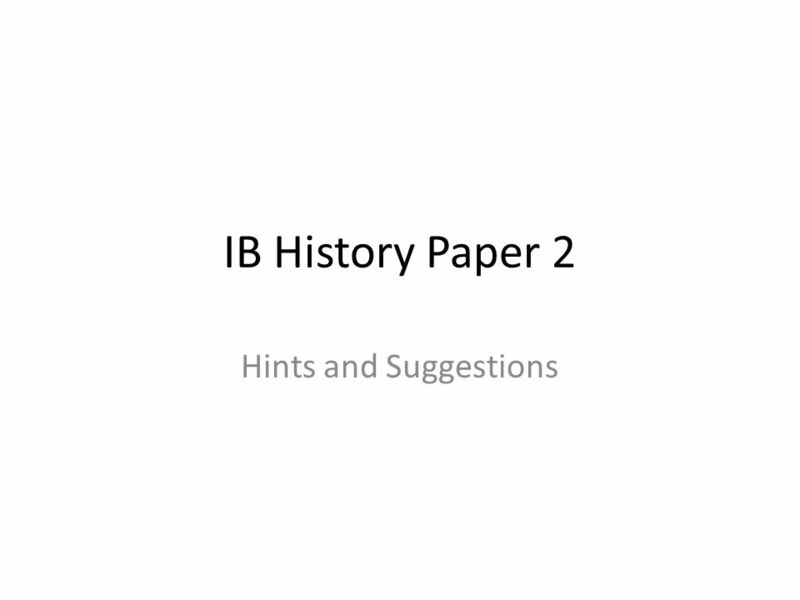 Download ppt "IB History Paper 2 Hints and Suggestions. Plan Subject Report 2007: 5-10 minutes writing a plan of the response is time well spent and can aid in providing." Improving Grades at A-level. What makes History difficult? It requires students to write on blank paper and construct answers without any help from the. The PDST is funded by the Department of Education and Skills under the National Development Plan, Leaving Certificate RELIGIOUS EDUCATION Coursework. 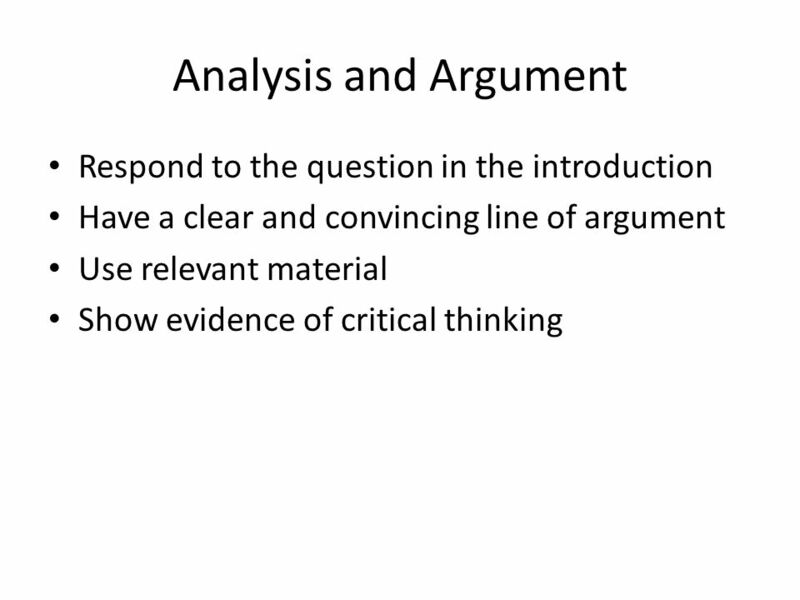 1 BS3916 Thinking about Management 3: The critique & its application to management thought. Meanings: some key terms used in the Core Skills Test. 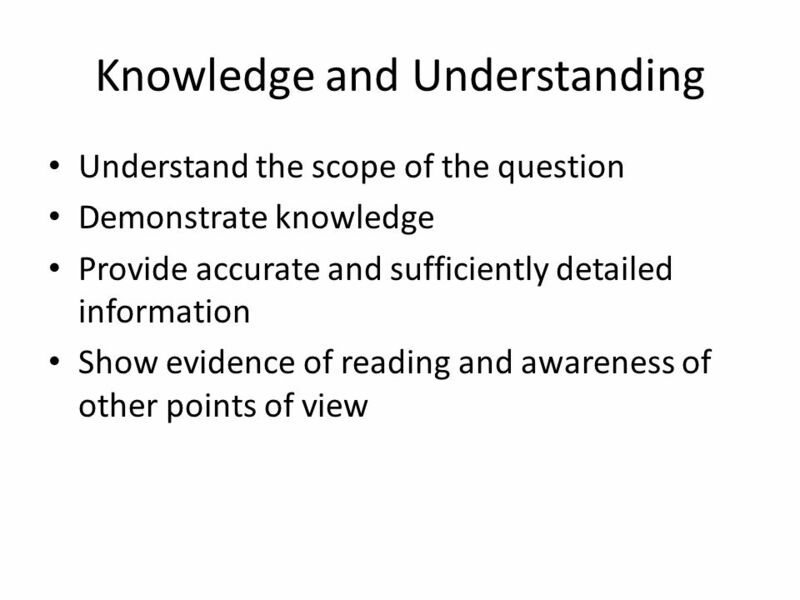 CAHSEE PREP CAHSEE Scoring Guides: Response to Literary/Expository Text Rubrics. Review of Yesterday’s Prewrite and Plan. INTERMEDIATE 2 ENGLISH What you need to do to pass.